Comilla Victorians collected their second BPL title thanks to sensational knock from Bangladesh's greatest batsman of all time, Tamim Iqbal. 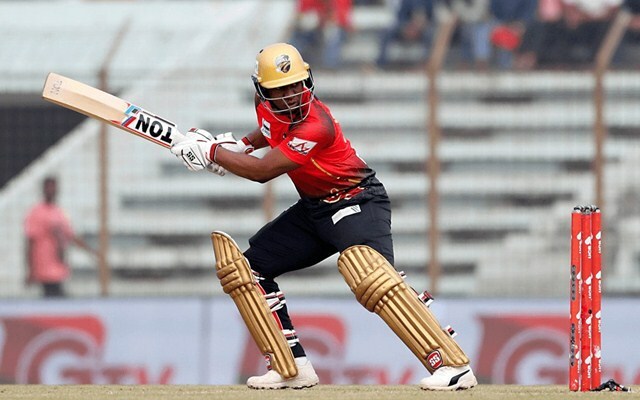 Tamim Iqbal gave a cracker-jacker of a finish to Bangladesh Premier League (BPL) 2019 with a stellar knock and also guided his side to a second tournament triumph. Victorians were earlier led by Steve Smith, who later backed off due to an injury but under the leadership of Imrul Kayes, they managed to go all the way. There have been some amazing moments throughout the tournament, from Jason Roy’s breathtaking catch to Warner turning a right-handed, but nothing tops Tamim Iqbal’s knock in the final. Chasing 200 runs for the title, Dhaka fell 17 runs short and two times in a row, they lost the final. One of the major reasons behind the inception of this tournament is to allow young local stars to collaborate with overseas professionals and learn from them. Some of the overseas stars have not just done that, but also made a great name for themselves with a stellar rendition. Here’s the best overseas XI of the tournament. Hailed the “Next-gen Gayle”, Evin Lewis time and again chipped in with some brilliant displays. His muscular and gritty strokeplay was one of the most attractive aspects of the T20 tournament and he turned out to be a great addition to eventual champions. The southpaw played just nine matches for the 2019 champions but left a major impact. With 273 runs to his name in 8 innings at an average of 54.60, he was absolutely terrific for the Victorians. His most important contribution came in the Qualifier 1, where he struck a 53-ball 71 and helped Victorians go over the line with ease.